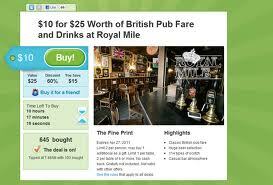 Thrifty Tip #55: Sign up for GROUPON to get amazing deals for local businesses in your city! Here's an example what your daily email will look like. You can take it or leave it...no problem! The reason I'm posting this early is because for the next EIGHT HOURS, you can still buy a YEAR LONG PASS to the BLANK PARK ZOO for only $34 for a 2 person membership or $49 for an unlimited # family membership! This is 50% off the normal price! PLUS, when I signed up for Groupon, I received a $10 discount code in my email and the person I signed up under received a $10 credit! So, our family membership was just $39! We couldn't even visit the zoo one time for this price! It's a great deal for a fun family activity!!! Click here to sign up to receive GROUPON's daily deals! I got our passes yesterday and I was soooo excited!! That is an awesome deal! Great tip! I love sneakymommy.blogspot.com! Here I always find a lot of helpful information for myself. Thanks you for your work. I have been hearing so much about Groupon... maybe its time to take the plunge! :) Have fun at the Zoo!! Thank you for mentioning this was in the Des Moines area. I'm so use to our little state being overlooked that I tend not to look at sites like this. I signed up.